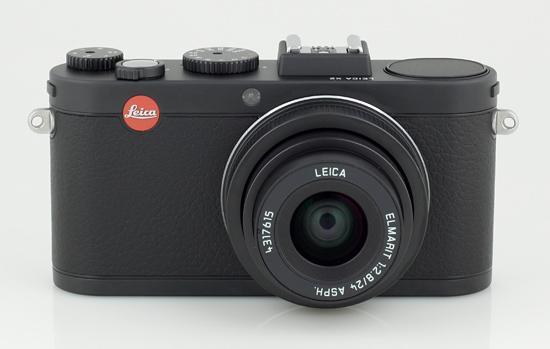 Let’s remind here that the Leica X1 was presented over two and half years ago. By launching its successor the company continues the production of APS-C sensor compacts with a fixed-focal, non-interchangeable lens. The rumours about using the fast Summilux 35 mm f/1.4 in the X2 model, which had been circulating around for some time, proved to be untrue. Instead the new camera features the same lens which you saw with its predecessor - the Elmarit 24 mm f/2.8. Taking into account the size of the sensor, the useful angle of view amounts to about 36 mm in values equivalent to the 35 mm format. The casing of the X2, compared to the older X1,has been changed only slightly. The same style was preserved along with high quality materials. The new model is a bit larger and physically heavier but it is hardly noticeable or/and felt. The enlargement of the body was determined by putting a connector to the external electronic viewfinder (EVF 2) which additionally raised the position of the hot shoe. The side surface of the camera, described here, apart from some metal elements, made of magnesium composites, was covered by plastic with a texture similar to that of leather. It is obvious that the overall build quality, used materials and fitting of all elements in both cameras is of very high quality. It would be difficult to have any reservations here. The construction of a built-in flash has been changed a bit. In the case of the X1 it was cylindrical and hid vertically inside the camera body. In the X2 you must shift a lever situated above the viewfinder. The flash in the new model raises higher by about 1 cm due to a “frame” which is small but gives the impression of being solid. Such a solution allows you to measure the probability of getting the “red eye” effect. The control dials and buttons remained the same with one small exception. The power button of the camera, which is also responsible for switching between the burst mode and the single frame shooting, used to feature also a delayed-action release. In the X2 it was omitted of course – now that button is situated under the right arrow. There would be no harm in it if only the delayed-action release didn’t switch off after taking every single photo; unfortunately here it is the case. The aperture and shutter speed dials move much easier than those of the X1 and here the differences between the two cameras end when it comes to the controls. The other buttons and dials work in the same way and have the same functions. The dial surrounding the four-way controller move smoothly but with a nice, distinct click-stops; the same can be said about the shutter release. 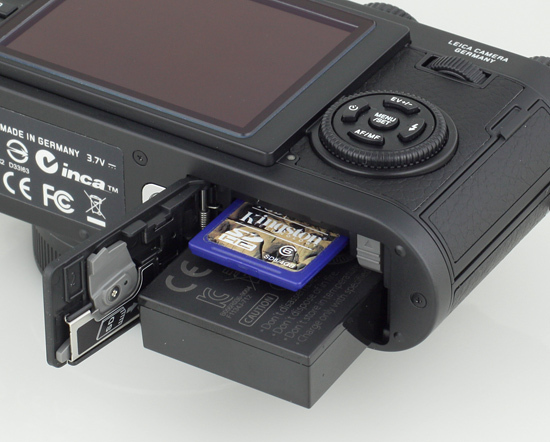 The Leica X2, like the X1, supports the SD memory card standard but additionally the producer included the new SDXC standard. The battery, powering the camera, remains the same lithium ion battery pack, called the BP-DC8 with a capacity of 1600 mAh and 3.7V voltage. On the right side of the camera, under a well-fitting door there are two sockets – a mini USB one and an HDMI port. The LCD viewfinder doesn’t differ much from that of an older model. It features the same diameter (2.7 inches) and the same resolution (230,000 pixels). We must add those specifications are rather modest by contemporary standards; you could have expected at least two times or even four times more, especially taking into account the class of this equipment. The noise of the displayed image, so clearly visible on the X1 screen in poor light conditions, has been improved. We are also pleased with the lack of smudging, which is so noticeable on the Fujifilm’s X100 LCD screen. The protecting coating damps flares a bit better than in the X1 model but the difference is very slight. When taking photos we observed an error - light areas flickered purple on the viewfinder and it happened several times. The test firmware of this camera and its faults might be blamed for such a faulty performance. We were assured that the final image processing works the same as in the final version of this camera, designed for mass production. Indeed, looking at test photos it would be difficult to find any aberrations. 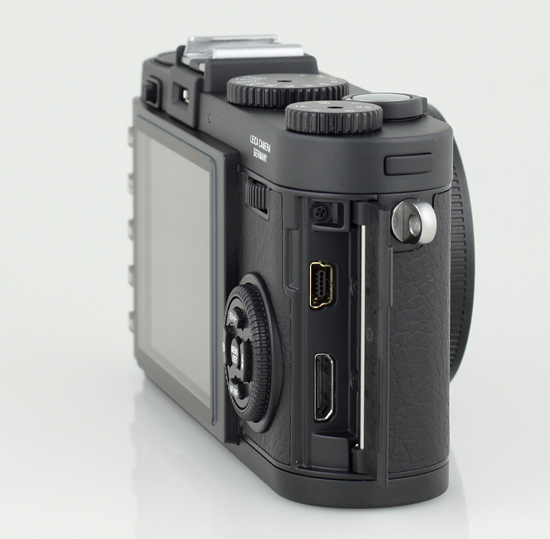 We got an electronic viewfinder EVF2 with the camera as an optional accessory. On sliding it into the camera’s hot shoe, which acts also as its a socket, we can activate it by pressing a button next to the eyepiece or choosing an option at the camera’s menu level. The viewfinder offers a resolution of 1.4 megapixels and it can be tilted upwards at a 90 angle relative to the upper body panel. It is very comfortable to use, especially against bright light when the monitor is not clear enough. Of course the viewfinder shows all the information available on the LCD. Unfortunately the image, presented by it, is a bit smaller than that of the X100 (in our estimation by about 20%), with a bit of noise (in the dark surroundings) but also more distinct and not so smudgy than that of the Fujifilm. 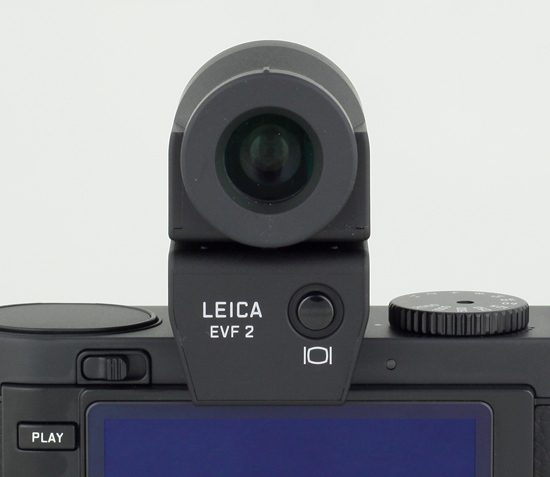 The EVF 2 features also dioptre adjustment. It is worrisome that the X2 takes significantly longer to switch on than the X1. The fact that it is exactly the other way round when switching off is not especially comforting either. On the other hand, out of these three devices the X100 is the slowest to get activated. 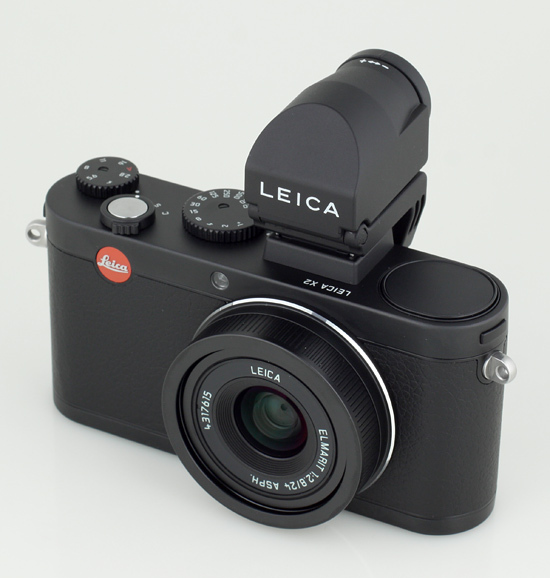 In both Leicas there is no movie-recording function. The producer boasts of a faster, improved autofocus, used in the new model. We have to admit the difference is noticeable and definitely to the new model’s credit. In fact the X2 leaves his predecessor so far behind that there is no point in comparing those two. 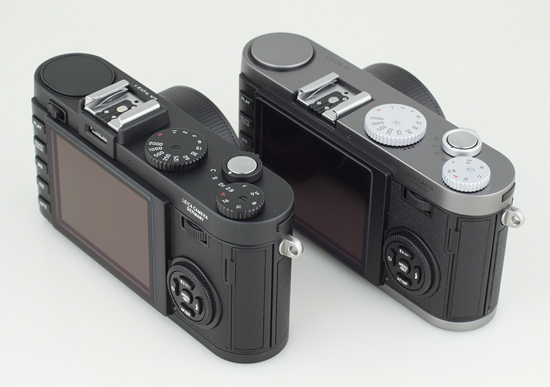 A duel between the X2 and the Fujifilm X100 (with the 1.13 firmware) is more balanced. The AF of the Leica is more accurate, without so many misses, although a bit slower. Only at smaller distances from the photographed object you can notice a certain advantage of the X2 focusing speed. The burst mode has been improved as well. So far the X1 model could save up to 6 photos with the speed of 3 fps; in the X2 we can save 8 frames with the speed of 5 fps (or 3 fps). 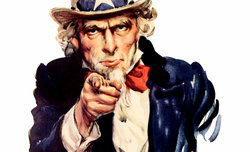 It doesn’t matter whether we save only JPEG files or DNG + JPEG Super Fine. After the full series of DNG + JPEG Super Fine shots the camera freezes for about 20 seconds, transferring the data from the buffer memory to the memory card (checking on the SDHC 10 class). The menu of the camera hasn’t been modernized either so still you can’t find any Polish language messages here. We deal with a long single scrolling list, there is no division into tabulators. It is obvious the producer defies current tendencies on the market, preferring its menu layout to be simple. You move between particular functions using direction buttons and two command dials; you confirm your settings using the MENU/SET button, which, as its name indicates, is also used for entering the main menu. The viewfinder in the manual/register mode displays the most important parameters: shutter speed and ISO value. In the program/automatic mode (the shutter speed and aperture dials set at the A position and Auto ISO in the menu) these values appear only after half-press the shutter release. Apart from the exposure parameters you can also see the battery status bar, a counter of photos left on the memory card, light measurement mode, autofocus mode and an optional histogram (activated at the menu level). The information can be switched off, leaving only the image, or you can activate frame lines (according to the rule of thirds). The exposition data are still displayed. Below we also show all of the menu options available after pressing particular buttons. In the playback mode your images can be displayed with such parameters as date and time, resolution, quality and format (JPEG or/and DNG), catalogue number in which a photo was saved and its histogram (optional). The essential exposure data are always below the photo. The dial surrounding direction buttons can be used to magnify the image; additionally you can scroll all the photos with a given area magnified (using a command dial) . There is just one thumbnail display mode – a 4x4 grid. 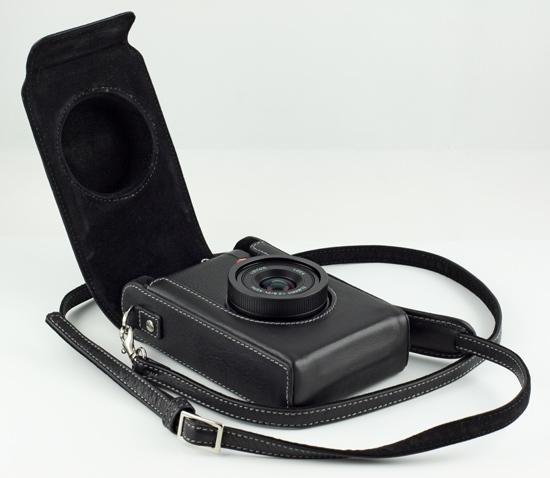 There is a leather case available as an optional accessory; it is made of thick leather and it definitely matches the style of the camera itself. 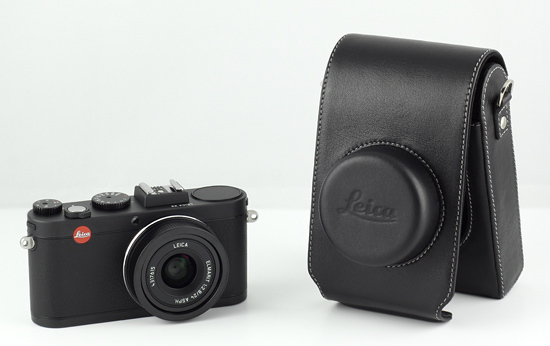 To sum up the first impressions after using the new Leica are definitely very positive. The changes, compared to its X1 predecessor, are relatively small. The producer only decided to implement a sensor with a higher megapixel count and this feature most likely will be emphasized time and again as the basic difference between the old and the new model. Much better autofocus efficiency is also worth to note. The casing is kept in the same elegant style and I am sure there will be plenty of those who will appreciate the refreshed model because of that. The assessment of the picture quality we leave to our Readers – they can make up their mind having sample photos from the Leica X1 and Fujifilm X100 at their disposal.